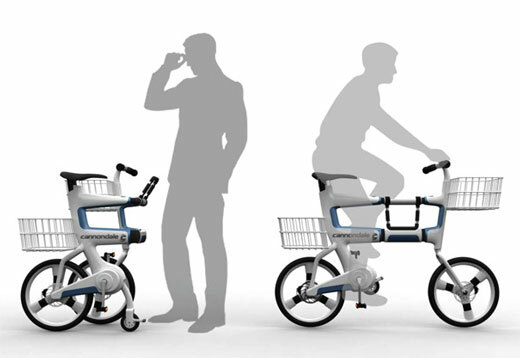 A cool new folding bike design solves the “where do I put my bags?” and “where do I put my bike?” issues of cycling to the store. 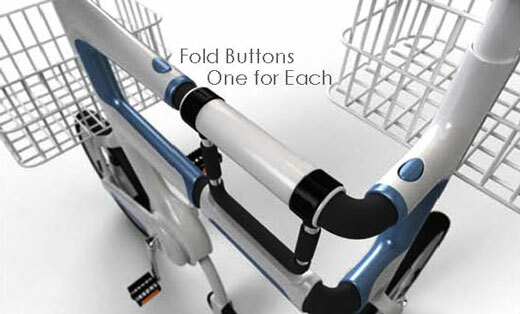 The Ville, Urban Folding Bicycle features two ample storage baskets and folds into a cart to help you shop. 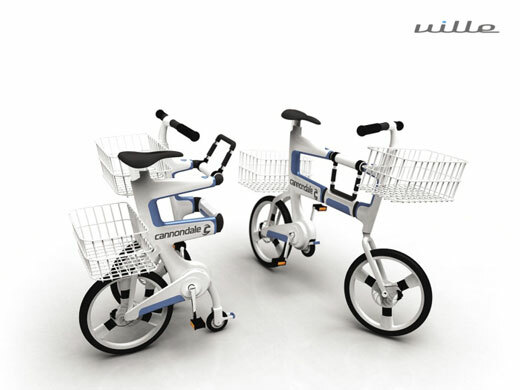 This bike called “Ville” is an urban folding bicycle designed by Hyuk-Jae Chang. 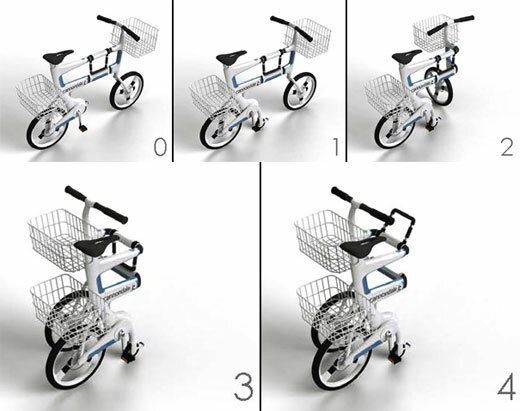 The bike has two storage baskets and folds up from the middle hinge at the touch of a button to become an ideally-sized grocery cart for shopping at the supermarket. 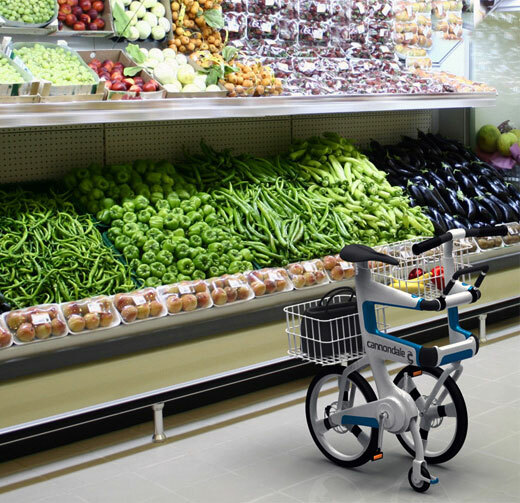 When you’re done shopping, the bags stay in the baskets and you can pedal home. If you live close enough to a store, it really eliminates any excuse to drive instead of ride. It is clear, convenient and enviroment-friendly. Just love it. how much the price is for this bike? and how can we get it? Tks. This is just a concept design. There is not actual product yet.